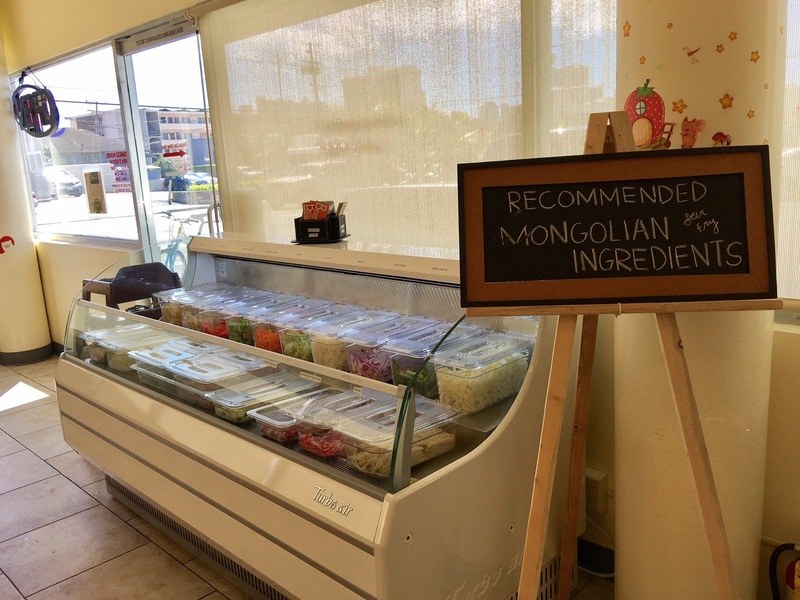 Aunty's Ramen, mostly known for build-your-own ramen bowls, now offers Mongolian Stir-fry for those who aren't in the mood for hot soup. The concept is the same - select your ingredients (look for the special Mongolian stir-fry section at the end of the ingredient line), take your ingredients to the cashier to have it weighed, select your sauce (mild, spicy, curry), select your starch (choice of noodles, rice, or fried rice), then wait for your stir-fry to be delivered to your table. Note there is a minimum purchase of $10 for either stir-fry or ramen. Since I wanted to save room for dessert, I chose a modest amount of ingredients, added pork for an additional $2, and opted for the mild sauce and egg noodles. My stir-fry came out to $10.20. My stir-fry was delivered with a small loaf of flaky sesame bread. The bread is hollow and I believe you're supposed to put some of the stir-fry in the pocket and consume it like a pita pocket. I was really impressed with the flavor of the stir-fry. Although I had some chef made soy sauce on the side for extra flavor, I ended up not using it at all. 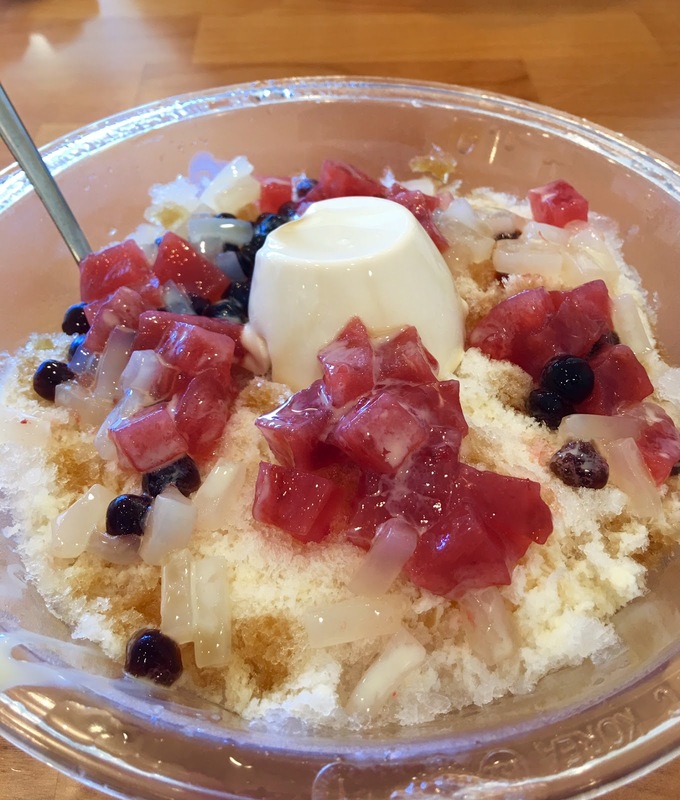 No meal is complete at Aunty's Ramen without her infamous shave ice dessert. I saw on social media that she finally brought back her strawberry mochi topping - my favorite!! Check out Aunty's new Mongolian stir-fry today! p.s. she's now open 7 days a week!